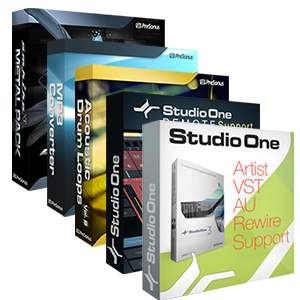 A bundle of the most popular add-ons for StudioOne Artist Users. Enables Studio One Artist to use third-party plugins and other software in a VST2, VST3, AU, or ReWire format. A great sounding stereo loop library for Studio One. Featuring multiple styles, grooves, and song parts.